The third round of talks between the governments of the Dominican Republic (D.R.) and Haiti has been postponed for the third time. It was originally scheduled to take place this past April 8, 2014 and will now hopefully occur on May 6, 2014. COHA hopes that the Dominican Republic and Haiti will follow through with the planned agenda set for the meeting on this newly scheduled date. A tweet posted by the President of the Dominican Republic, Danilo Medina, in the morning of Sunday April 6, 2014 read, “The third high-level meeting between the Dominican Republic and Haiti was postponed to May 6.”  Two consecutive tweets followed thereafter stating that this postponement was a mutual agreement between the two countries at the request of the Haitian government and that the recent restructuring of the Haitian cabinet was the reason for doing so. Until the recent restructuring of its cabinet, Haiti was ready to resume ongoing talks with its counterpart, the D.R. On March 27, Haitian Prime Minister Laurent Lamothe said, “Haiti is ready to continue the bilateral dialogue.”  It is clear from this new development that Haiti has put the meeting on hold in order to get its government representatives well situated within their various positions in the cabinet. However, the reason for the first and second postponement, which prompted the meeting to be scheduled for April 8, are not the same. According to the Haitian government, the reason for moving the meeting to April 8, its previous designated date, was in light of the D.R.’s obstinacy to release information to Haiti concerning the proposed Naturalization Plan bill, which was introduced to the D.R.’s congress on February 27, 2014. Significant strides made in immigration and trade talks at the second meeting (which occurred on February 3, 2014) had heightened anticipation set for the objectives for the upcoming legislative session. However, relations between the two neighboring nations are becoming even more strained as Santo Domingo is refraining to initiate greater transparency concerning agreed-upon policies between the two island countries, especially progress in reference to the Naturalization Plan bill. Since the publication of the “Troubled Haitian-Dominican Bilateral Relations Await Progress” article (published on February 27, 2014), COHA has been in contact with a D.R. government official who asked to remain anonymous. Said official told COHA that there had been a fallacy circulating in the international arena concerning the 2013 immigration law, which was aimed to exile all Dominicans of Haitian ancestry who had entered the country illegally. According to this unnamed official, the D.R.’s purpose “was not to take away citizenship from anyone living in the country, but to give those living in the Dominican Republic an opportunity to normalize their immigration status in the country.”  This official also insisted that the D.R. has not attempted to hinder normalization efforts with the Haitian government and that the D.R. government had always opened its doors to negotiations with its counterpart in Port-au-Prince in order to reach bona fide solutions for both sides. When questioned about the present Naturalization Plan bill, the D.R. official was unable to come up with reliable information concerning the current status of immigration matters in the country. The D.R.’s position, which came just before the fast approaching date for the resumption of the third round of talks, indicated that the Dominican government is making rapid efforts to increase its international image in the midst of criticism. Nevertheless, the D.R.’s reluctance to disclose the standing of the Naturalization Plan bill, which led to the postponement of the April 8 circle of meetings, has raised concern among those monitoring the D.R.s seemingly discriminatory practices. The original announcement for the postponement came on Monday March 17, just three days before the meeting was supposed to take place on March 20. The meeting however had already been delayed once before during the week of March 12 because of U.S. Vice President Joe Biden’s planned visit to the Dominican Republic (a visit which was ultimately cancelled). Haiti officials announced that the main reason behind the decision to defer the April 8 meeting was because the D.R. refused to relay information regarding the latest draft of the Naturalization Plan bill. The D.R., on the other hand, announced that its reasons for postponing the meeting was to allow for positive outcomes to result from matters involving trade, health, tourism, and immigration which currently remain listed on the bilateral agenda. All in all, this postponement could become a significant threat to both Haiti and the D.R. as they attempt to reach a consensus aimed at promoting peace. What issues have been discussed thus far? The first round of immigration talks took place between the two island neighbors in Ouanaminthe, Haiti on January 7, 2014. During this meeting, the two governments discussed trade, the environment, and agricultural exports. Concerning trade, “Commissions from Haiti and the Dominican Republic met at the Compagnie Industriel Development (CODEVI) free trade zone, where it was overseen by the Dominicano de Desarrollo Integral, a Dominican nonprofit organization.”  Additionally, Haitian officials requested that the D.R. consider making a move to help eradicate human rights violations allegedly lodged against Haitians living in the D.R. This included all Dominicans of Haitian ancestry who were considered illegal immigrants even though they had been born in the D.R. The second round of talks took place on February 3, 2014 in Jimani, D.R. At this meeting, issues concerning trade, agriculture, the environment, immigration, public safety and police, and smuggling were discussed in greater depth. As stated in COHA’s aforementioned analysis, “Troubled Haitian-Dominican Bilateral Relations await Progress,” this meeting was driven by a series of events that hastened its occurrence. The result of this buildup was first influenced by the pressure coming from the United Nations, CARICOM, and other institutions in the international milieu to reverse the September 2013 D.R. constitutional ruling. 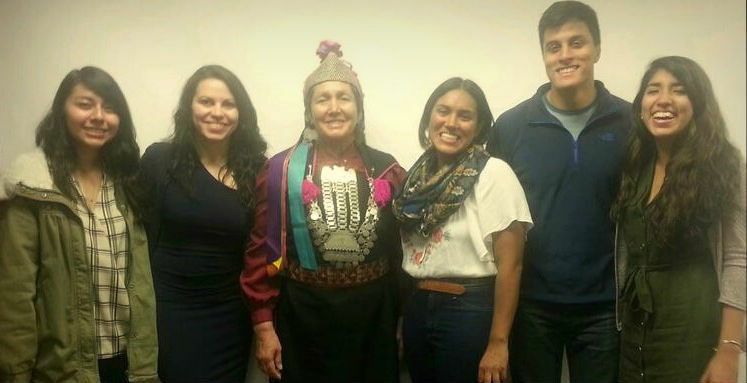 The second form of pressure was coerced by the attending countries at the CELAC Summit for the two countries to have a closed-door meeting in Havana, Cuba last January. It was at this meeting that the two Hispaniola countries agreed to hold a second round of talks on February 3. Upon completion of this meeting on February 3, the D.R. agreed to propose a Naturalization Plan bill in D.R.’s Congress on February 27, which would affect all Dominicans of Haitian descent living in the country. In addition, both countries agreed to collaborate on the creation of special visas or work permits for seasonal Haitian workers. This objective was taken up to help provide contract Haitian labor in the Dominican Republic. Overall, significant steps have been taken thus far to help enforce a peaceful agreement between the two nations. However, proposed policies adopted at the peace talks have to be implemented in order to be considered relevant. Since the second round of talks, which occurred on February 3, 2014, the D.R. has been treading lukewarm waters by switching back and forth in its actions to help mend relations with Haiti. The first of these actions was exemplified in the D.R.’s plea to the United Nations Human Rights Council this past March when the country stated its plans to help reverse the September 2013 constitutional ruling; an order to which the UN had already declared its aversion. The D.R.’s Deputy Foreign Minister, José Manuel Trullols, in his address at the United Nations Human rights Council forum in Geneva on March 6, 2014, stated that the Dominican government’s intention of submitting the Naturalization Plan to its own congress was to seek the legalization of all illegal foreigners found in the country and to address the issue that had resulted in Dominicans of Haitian ancestry being irregularly cited in the Dominican civil registry. He added that the D.R. could be legalizing the status of about 430,000 foreigners from over 100 countries residing in the D.R. in the next few months. He also specified stating that the D.R. government now “seeks to respond to the deficiencies which have plagued our nation in the immigration field for years, with a comprehensive, inclusive plan and consistent with the laws and Dominican institutions and international standards.””  This plan will not necessarily strip Dominicans of Haitian ethnicity of their nationality and is one measure that seeks to advertise and reach out to people living in the D.R. to participate in the regularization plan. In addition to its plea at the UN, the D.R.’s effort, to contact think-tanks such as COHA, demonstrated its intention to save face in the midst of intense scrutiny. However, the country’s refusal to release any information concerning the status of the Naturalization Plan bill leads one to question its ultimate intentions in this process. 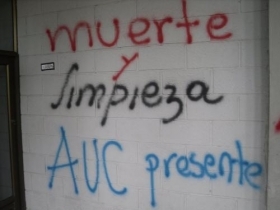 Similarly to what took place at the UN, the Inter-American Commission on Human Rights (IACHR) at its 150th session on March 24, 2014 in Washington D.C., held what was said to be the most “dramatic” hearing with the D.R. regarding its plans to expatriate thousands of Dominicans of Haitian descent from the country. Commission officials initiated the discussion of two cases of monstrous impacts. 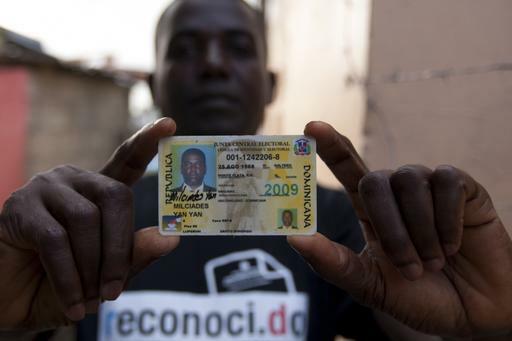 One case concerned Haitian migrant workers and their families in the D.R., and another was related to the September 2013 measure, regarding the right to nationality for Dominicans of Haitian descent. At the event, officials from the D.R. once again made a plea to clarify the D.R.’s intentions for the 2013 denationalization law, when the Commission officials began to question them about an event that took place the day before. Airport officials in Santo Domingo had prevented Juliana Deguis, a young woman of Haitian descent en-route to testify at the IACHR event, from leaving for the scheduled meeting. The D.R. validated its actions by arguing that a letter in her possession, which had been authorized by the Department of State to permit her entry into the U.S., was not entirely suitable to excuse the absence of a passport. Truth is, Deguis did not have a passport because she, like many others, had been caught in the category of Dominican nationals of Haitian background, who had their birth certificates revoked due to the 2013 law by D.R. authorities. Her inability to leave the country is now being called a process of “de-nationalization.” Preventing Julia from leaving the country, especially because she was attending the IACHR proceeding, once again reveals that the D.R. has alternative motives behind its actions. The Commission further scrutinized the steps taken by the D.R. saying that forcing individuals to register under the “foreigner regularizing plan,” is a definite violation of one’s right to their nationality. This development, in addition to the D.R.’s negligence to offer an appropriate update on the Naturalization plan bill, has led to a major set-back for the country in terms of its international reputation. The blatant truth is that resentment still lingers between the two nations from the forlorn events of slavery, Haitian territorial occupation (1822-1824), and the Trujillo genocide (1937). This doleful history coupled with the ongoing racial prejudice from Dominicans towards Haitians, still controls much of what takes place between Haiti and the D.R today. For centuries, Dominicans, who consider themselves as superior in race and economic stature, have looked upon Haitians as the lower-class Afro-centric quasi slaves responsible for working physical labor jobs. 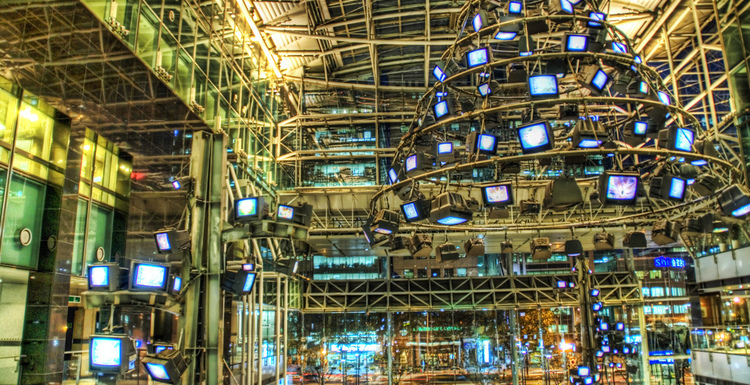 However, much of this, especially concerning race, has changed. Years of co-existing on the same Island has led to a mixing and diversification of the population in both countries. As a result, lines of racial distinction that previously defined one’s economic or social standing in society in the past no longer exist today. It is quite true that the D.R is much more advanced today in its economic terms and its land tenure definitions while Haiti has consistently suffered from drawbacks in issues of security and land misuse. This conversely does not change the fact that the issue still stands. Dominican children of Haitians who immigrated into the D.R. during its economic climb to work on sugarcane farms should not be subjected to the same prejudice that was bestowed upon their parents, especially if they were born in the D.R. and maintain the birthright to remain in the country. It is prevalent that the Dominican Republic is not ready to accept pragmatic relations with its Haitian neighbor, because of the countless forms of intervention it has taken from outside forces to initiate peaceful talks between the two countries. Cordial relations require that both parties reach a compromise; however, the D.R.’s incentive to withhold information concerning the Naturalization Plan bill continues to take a toll on this much-awaited alliance. Lets hope that Haiti is able to get its internal affairs in order so that this long awaited meeting can take place on its rescheduled date. 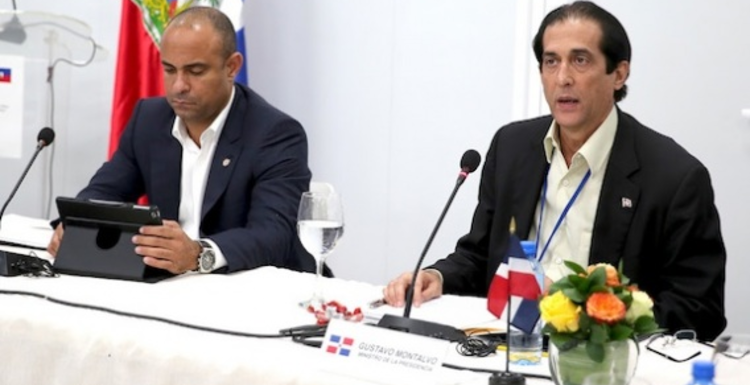 With all things considered, the possibility of relations deteriorating between the Dominican Republic and Haiti will continue unimpeded if the Dominican Republic continues to hold back important information during deliberations with Haiti. This especially concerns the all-important Naturalization Plan bill, which is eagerly being awaited by the broader international community. COHA hopes that Haiti and the D.R. will holdup the end of both their agreements with each other so that the upcoming May 6 meeting will be successful and the two governments will finally reach a viable accord. “Dominican- Haiti high level talks postponed till April 8.” Dominican Today, March 18, 2014. Accessed March 25, 2014. http://www.dominicantoday.com/./economy/2014/3/18/50884/Dominican-Haiti-high-level-talks-postponed-till-April-8. @PresidenciaRD. Twitter. April 06, 2014. Accessed April 9, 2014. https://twitter.com/PresidenciaRD. DiarioLibre.com. “Se aplaza por tercera vez diálogo entre Haití y República Dominicana.” April 06, 2014. Accessed April 9, 2014. http://www.diariolibre.com/noticias/2014/04/06/i557541_aplaza-por-tercera-vez-dilogo-entre-hait-repblica-dominicana.html. Interview with Anonymous. Representative of Dominican Republic. March 07, 2014. Haiti En Marche, “2014-03-10.” March 10, 2014. Accessed March 24, 2014. http://www.haitienmarche.com/index.php/component/content/article/71-haiti-en-marche/what-s-up-little-haiti/7806-2014-03-10. Caribbean Journal staff. “Haiti, Dominican Republic Hold High-Level Talks in Ouanaminthe.” Caribbean Journal, January 07, 2014. Accessed March 25, 2014. http://www.caribjournal.com/2014/01/07/haiti-dominican-republic-hold-high-level-talks-in-ouanaminthe/. 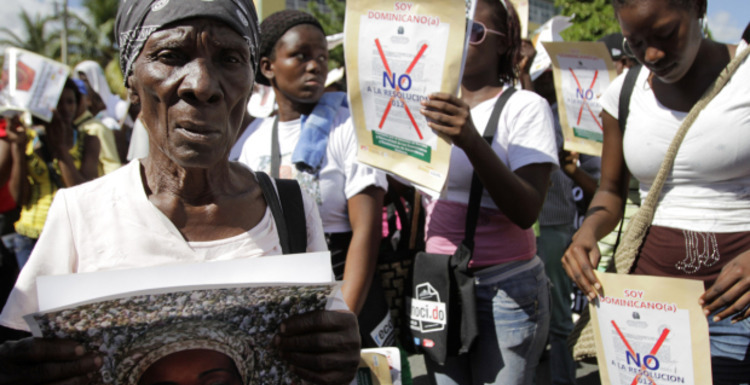 “Poll: 67% see no happy ending in Dominican Republic-Haiti talks.” Dominican Today, February 03, 2014. Accessed March 25, 2014. http://www.dominicantoday.com/dr/local/2014/2/3/50423/Poll-67-see-no-happy-ending-in-Dominican-Republic-Haiti-talks. Charles, Jacqueline. “Dominicans of Haitian descent to get legal help.” Miami Herald, sec. Haiti, February 18, 2014. Accessed March 25, 2014. http://www.miamiherald.com/2014/02/18/3944387/dominicans-of-haitian-descent.html. “Dominican Republic reveals ‘ambitious’ plan to document foreigners.” Dominican Today, March 07, 2014. Accessed March 25, 2014. http://www.dominicantoday.com/dr/local/2014/3/7/50774/Dominican-Republic-reveals-ambitious-plan-to-document-foreigners. “Niegan salida a Juliana Deguis por falta de pasaporte.”Noticias Sin, March 23, 2014. Accessed March 27, 2014. http://www.noticiassin.com/2014/03/niegan-salida-a-juliana-deguis-por-falta-de-pasaporte/.